1.Oberm is a pioneer shoes brand with delivering high-quality products and good service to our ultimate service for customers. 2. 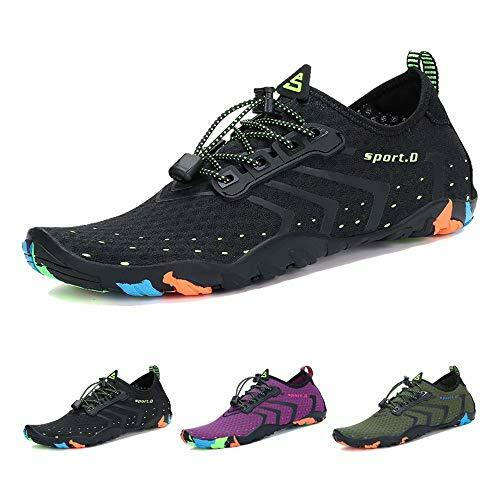 We dedicate to develop the ultra-light and non-slip shoes, which is perfect for outdoor sports, it can be worn when you're doing water aerobics or playing at beach with your family. 3.The water shoes suits for woman men beach,yoga,sport, aqua sports,waterpark,swiming, kayaking,river tubing,boating,hiking,fishing,rafting,diving, water aerobic classes ect. Elastic straps,anti slip,quick dry,7 drainage holes,ultra sturdy outsole,breathable,flexiable,lightweight,comfortable,easy put on and take off. If you have any questions, please feel free to contact us, we will reply you within 24 hours, and provide the best service, we will try our best to satisfy every customer!